When you are on holiday you should have the time and space to be yourself and relax. 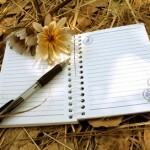 It is a golden opportunity to write. If you think that writing means ‘working’ then think again. Why shouldn’t you ‘work’ on yourself? Writing can help you therapeutically in many ways. We can expose deeper held thoughts when we start writing. This can gradually ease any emotional feelings and help us process life’s challenges. Life transitions are one such example. In most cases, the answers to our problems can be found from within. Imagine the sense of relief when you can comfortably put things into perspective. Writing also gives you time to reflect. As we are not talking to anyone we are no longer concerned or limited by another person’s reactions. This frees us to listen to our own voice and catch glimpses of any underlying thoughts. Many people have an aversion to writing as they assume that what they write is for someone else to read. After all, since school we have had to write for others. So, here’s the twist. Write for yourself. Writing for yourself enables you to delve into areas that you might not be able to share with anyone else in conversation. In fact, you are having a dialogue with yourself. At least there should be fewer arguments! Like most things, the more you practice, the easier it gets, and the more benefit you enjoy. Commit to writing for ten minutes per day. And write anything down. If you have nothing to write, then write down “I have nothing to write” repeatedly. Within seconds you will have something to record. So what do you need to take on holiday to help you write? If you enjoy your technology, then use your favourite smartphone, tablet or laptop. WIth network access, you can set up a private blog. This has the advantage of keeping your thoughts collated and backed-up, which is useful for more structured reflection at a later date. Try using www.blogger.com as it has user friendly tools and is easy to set up. Ensure you check your security settings so no-one else can read it. Typing can be easier than hand writing as you are able to edit your work quickly and change words if necessary. I personally feel that typing can also increase writing efficiency. However, if your laptop reminds you of work, or even worse, tempts you to check your emails “just for five minutes …”, then don’t forget the time honoured pen and paper. 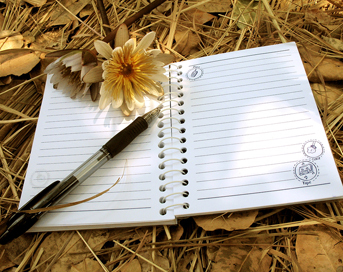 Writing onto paper allows you to write where and when you want. It also enables you to randomly write words if any thoughts pop into your head. You might find that you are more expressive when you write. Or you might just like it. If you have thought about counselling in the past, but didn’t like the idea of face-to-face conversation, then maybe email counselling might be for you. You can use your writing as your own personal outlet, and then choose what you want to exchange with a professionally trained e-mail counsellor. Have you tried writing on holiday? Do you have any tips about writing that you would like to share?